This special European bike tour connects two of Austria’s most well-known cities, in a way which is sure to take your breath away. With the steep, towering North Chain of the Karwendel mountains on one side, you will bike comfortably along the River Inn’s cycle path. 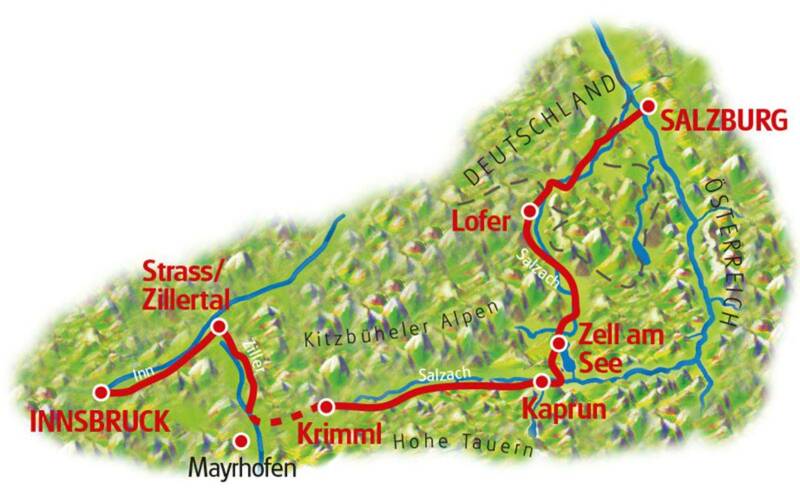 Next, you cycle inland towards the idyllic Zillertal (Ziller Valley) where you will cross the Gerlos Pass by bus transfer. Having arrived in the state of Salzburg, you can admire Europe’s biggest waterfall before climbing back on your bike for a leisurely ride along the scenic and purpose-built cycle tour. 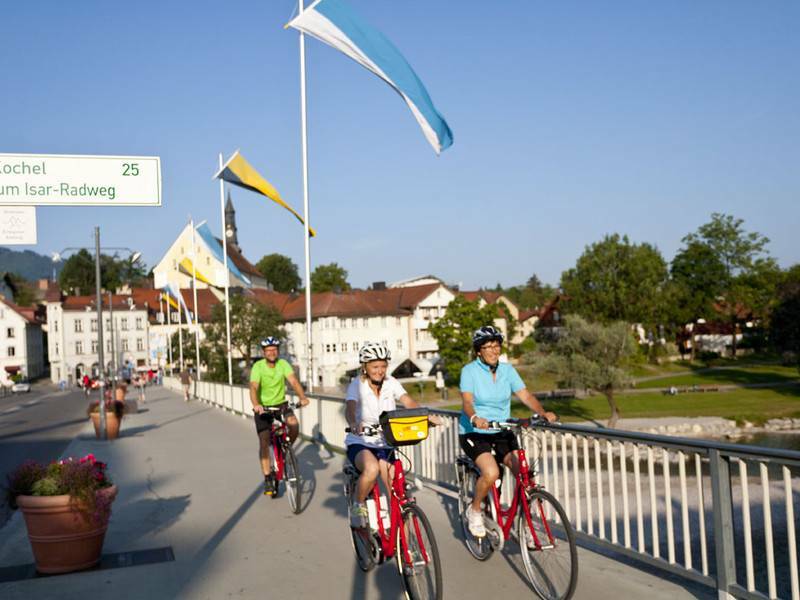 The hugely popular Tauern cycle path takes you along the River Salzach to Lake Zell, where you will see the snow-covered Kitzsteinhorn mountain reflecting in the water. Be prepared for a sprint on your bike as you follow the river Saalach and its valley until you arrive in world-famous Salzburg. What are you waiting for? Discover Tyrol’s tradition and Salzburg’s spectacular culture. This Innsbruck tour is predominantly on cycle paths, with occasional slight hills. Some riding on natural trails and very briefly on small side roads. 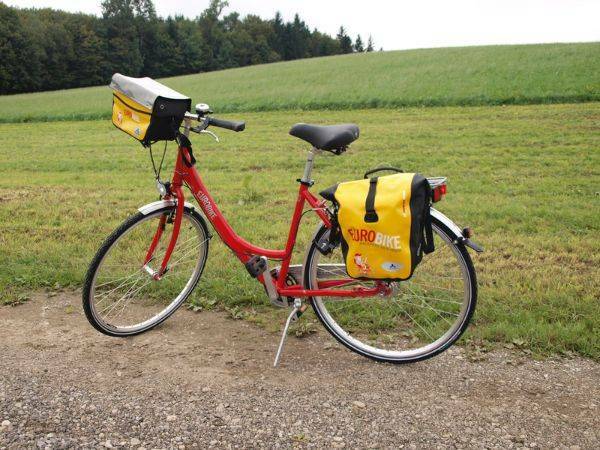 Cycling in Salzburg routes may be subject to change or alteration. All route notes, maps and day-by-day information will be given to you upon arrival at the first hotel or at the welcome meeting. 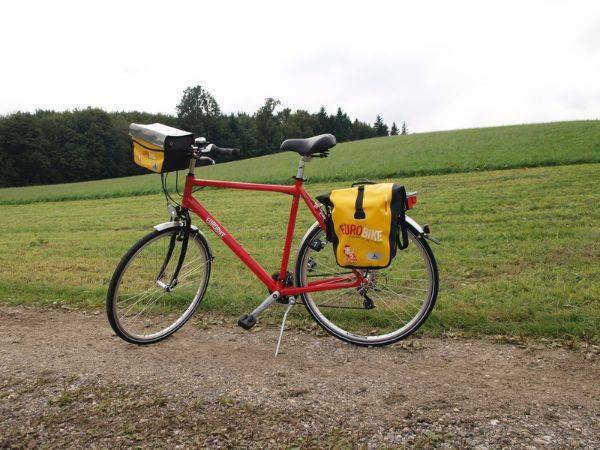 GPS/GPX files are available for most of our Austrian cycling holidays we offer, including the Innsbruck to Munich tour. Please ask us for details. Innsbruck – Strass/Zillertal 50 km You only follow the signs „Innradweg“! There are now 'E' signs today! We recommend flying to Innsbruck or Salzburg (both Austria) airport to reach the starting point of this cycling holiday. Disembark at Innsbruck Hauptbahnhof, from here we recommend taking a taxi to your hotel. Austria Trend Hotel Congress: taxi takes about 10 minutes and costs about €18. Alternatively, its about a 1km walk or you can catch bus line “H” and get out of the bus at “Haus der Begegnung” which will cost about € 3. Hotel Central and Zach: taxi takes about 5 minutes and costs approx. €10. Alternatively, it’s about a 250m walk. From Innsbruck Airport, the cost per taxi is approx. € 22. Alternatively, you can catch bus “F” to station Hauptbahnhof for Hotel Central and Hotel Zach or further on by bus line “H” and exit the bus at “Haus der Begegnung” to Austria Trend Hotel Congress. The distance from the airport to your hotel is about 5 km. We recommend using Skyscanner to find the best flight prices by date or Voyages SNCF for European rail travel. There is customer car parking available at most hotels on our Innsbruck cycling holidays for a supplement. Please contact us for more details. You do not need to go back to the starting point of the Innsbruck to Salzburg by bike holiday as all hire bikes are left at the final hotel. Important: Please book your flights only after invoice or email have confirmed the cycling holiday. Flights and transfers are not included in the advertised holiday price. 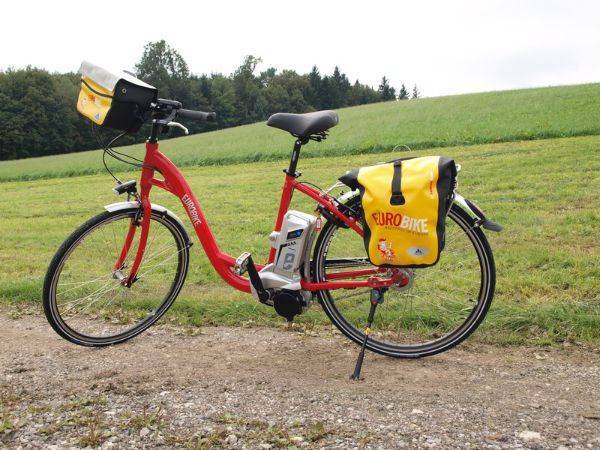 The Innsbruck to Salzburg cycling holiday includes the daily transfer of luggage to the next hotel and local support if required.